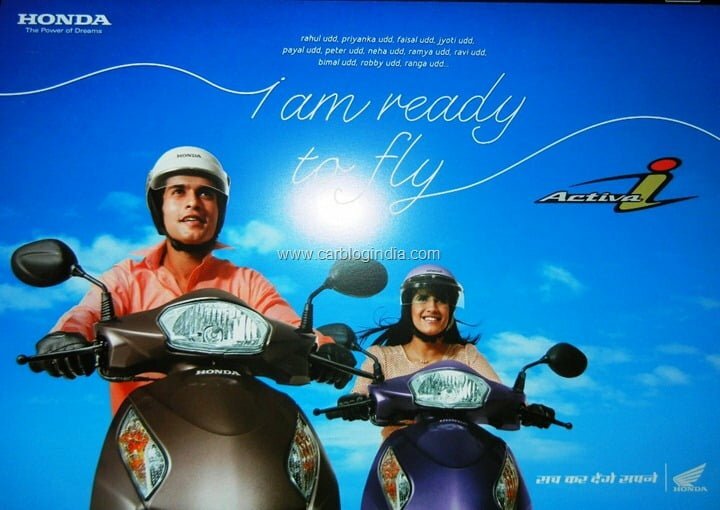 Honda Motorcycles And Scooters India or HMSI has launched Honda Activa-I which is the low cost version of their popular Scooter Honda Activa in India. 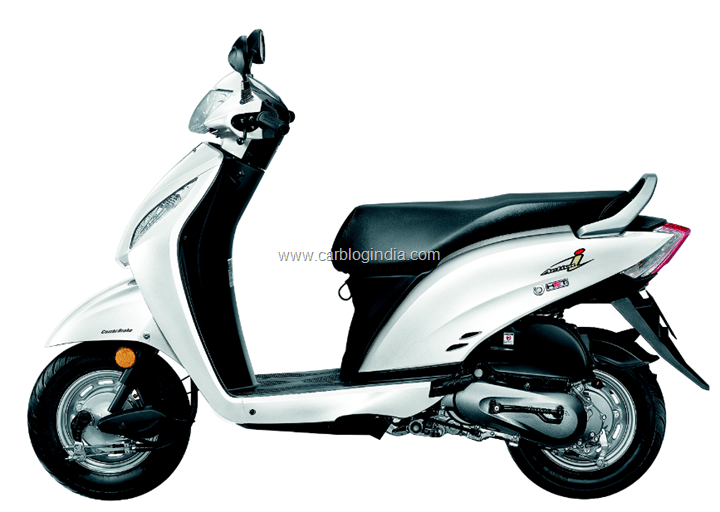 The Honda Activa-i has been priced at Rs. 44,200 ex-showroom Delhi while the Activa DLX version sold currently is priced at Rs. 47,204 with on-road price of Rs. 51,900 approximately. The Activa-I is a fresh breath of air when it comes to design with beautiful Honda styling and nice aesthetics to it like other scooters by Honda India. 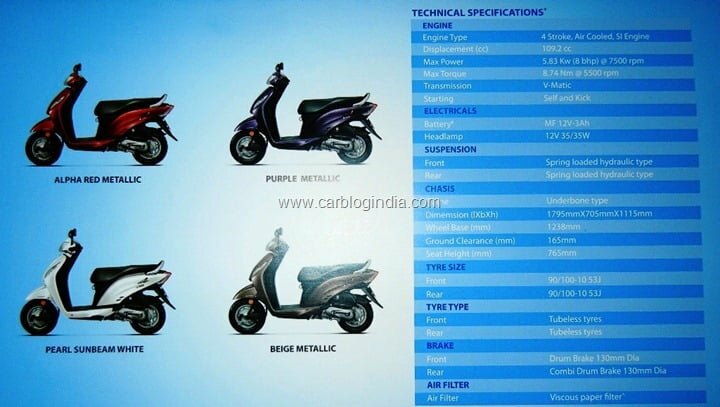 The Activa I has same engine as Activa with a 109.2 CC displacement with peak power of 8 BHP. Activa-i is designed with lots of convenience and comfort features. 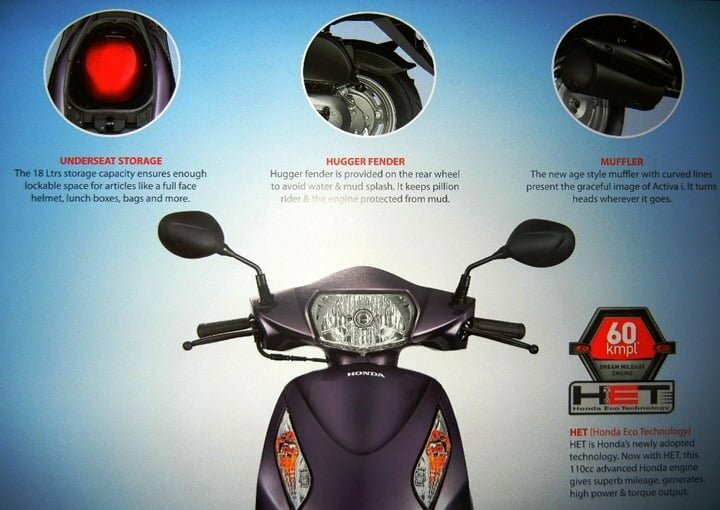 There is an under-seat storage of 18 litre on the scooter with a rear tyre hugger fender to prevent mud from flying off from the rear wheel to the pillion passenger. The Activa-I comes with a stylish muffler or silencer with a heat guard for safety as well as aesthetics. 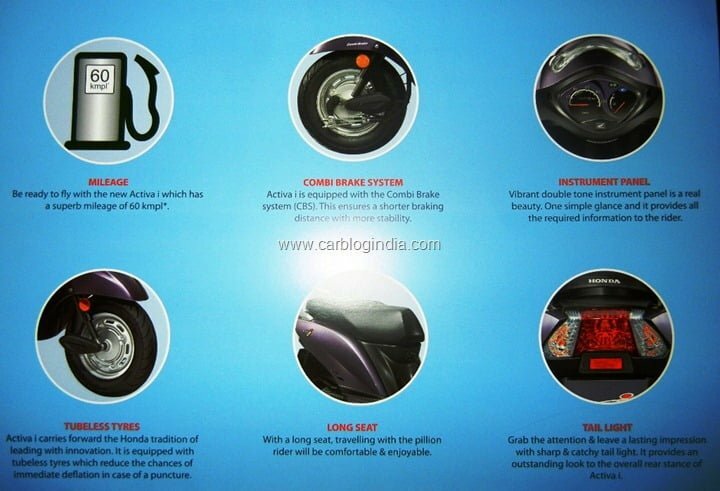 High mileage of 60 KMPL is also another attractive feature of Honda Activa-i. The combi-brake system on the scooter is also used on the Activa Deluxe model which ensures safer braking. The instrument cluster has also been designed in a very youthful and stylish way. Tubeless tyres on both front and rear ensure lower break-downs because of flat tyres. Longer seats on Activa-I make it comfortable to ride for both rider and pillion passenger. The tail lamp cluster has also been designed in a very stylish way with integrated turn-indicators in the cluster. 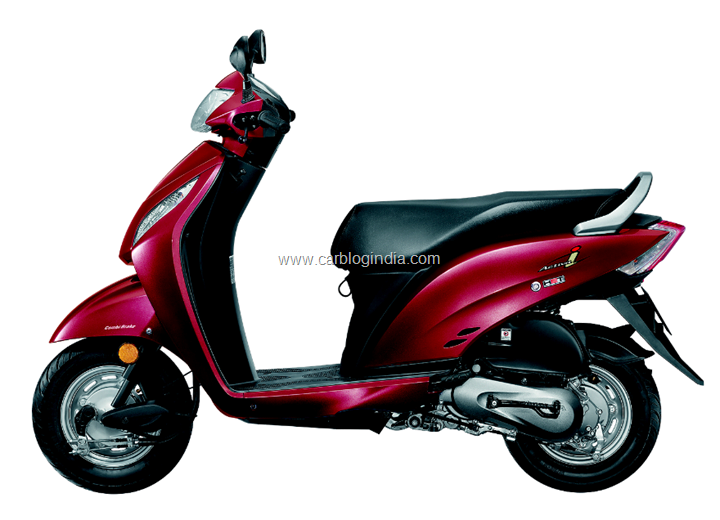 The Honda Activa I has been priced at Rs. 44,200 ex-showroom Delhi, it will go in sale in month of June 2013 across India. 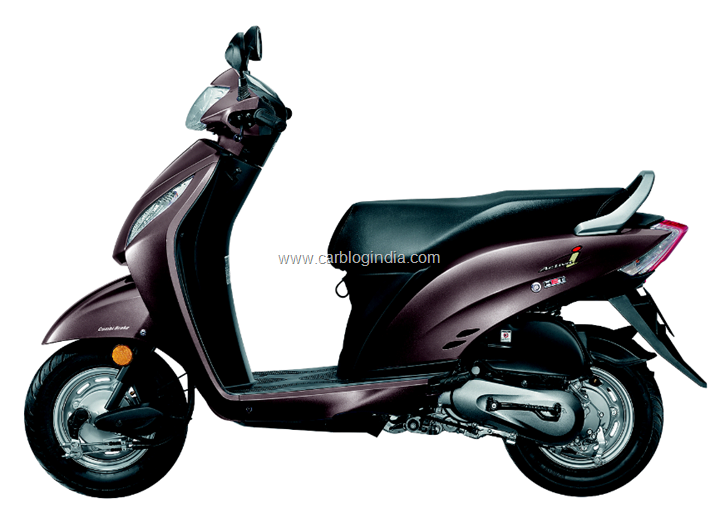 The on-road price of Honda Activa-I will be under Rs. 48,000 which is a great value proposition considering that Rs. 50,000 mark is a kind of psychological barrier for many buyers. In our opinion, the Activa-i is a step in right direction with the Activa brand having a good hold in the hearts of customers and the same engine and transmission with lower price tag makes a lot of attractive buy for first time buyers. It will even attract some of the entry level motorcycles buyers towards scooters. It may hurt the sales of Honda Dio which is also similarly priced and not selling too well when compared to the Activa and Aviator. Maybe this is a deliberate step by the manufacturer to bring in a new product in the same price band to capture this price segment in a larger share of the market.